A walk around the north of the island on 11th found more Whooper Swans to have arrived with 13 now on Garso Loch with the 3 Mute Swans. A lone Pink-footed Goose at Rue was also a new arrival, while the 5 Tundra Bean Geese and at least 19 European White-fronted Geese were still around. On Ancum Loch there were now 4 Pochards, while the 2 Scaups remained with 19 Tufted Ducks. The 12th saw some Gull interest at last with a juvenile Iceland Gull and a juvenile Glaucous Gull seen, the latter lingering off Twingness for most of the morning. A Merlin was was seen on both dates and 16 Twite were in the Observatory crop on 12th. Severe damaging gales on 8th and 9th December meant those 2 days were spent carrying out repairs and paperwork, so there was no bird news to report at all. A wander out on 10th didn't reveal much but 5 Tundra Bean Geese and 41 European White-fronted Geese were present among the Greylags. 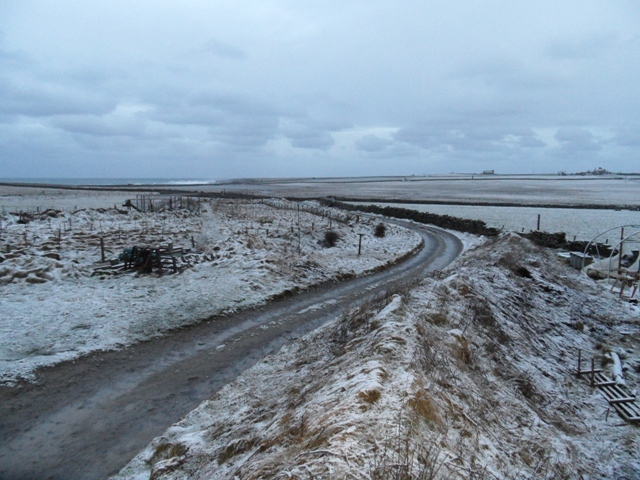 11 Long-tailed Ducks were in Linklet Bay, and the Hen Harrier was still hunting Hooking Loch. 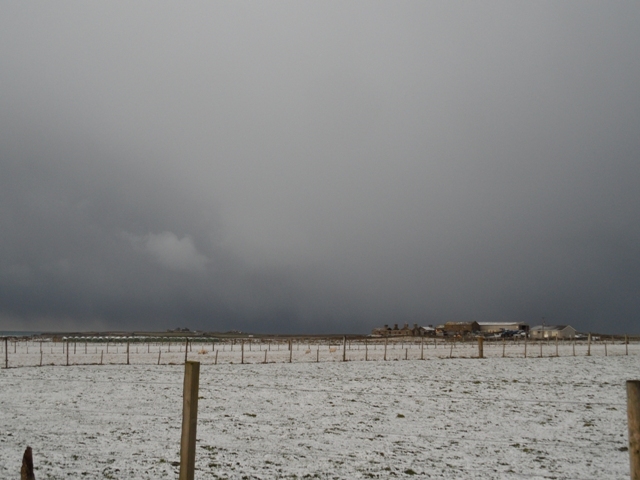 4 Snow Buntings, 2 Twite and a handful of thrushes were the only passerines seen. The island remains quiet despite the continuing current cold snap with only a few minor cold weather movements observed. The snow and ice remained to 5th when there was an increase in Lapwing numbers to at least 113, including several small groups noted flying south and out to sea in search of unfrozen ground. A few Curlew, Fieldfares and Redwings were also seen to fly south, and 21 Skylarks were counted in suitable habitats. Geese continue to feature with 7 Tundra Bean Geese present on 6th, and a single Greenland White-fronted Goose joined 59 European White-fronted Geese near the school on 7th. One each of Hen Harrier and Merlin remained throughout along with 7 Twite. An unbirdable wet and windy day on 3rd was followed by the first snowfall of the winter overnight and during the morning of the 4th. A pleasant wintry day revealed large numbers of Geese to have left the island with just 314 Greylags counted during a Goose census. 12 Tundra Bean Geese were found though which was an increase on recent days, and 10 European White-fronted Geese were still present. 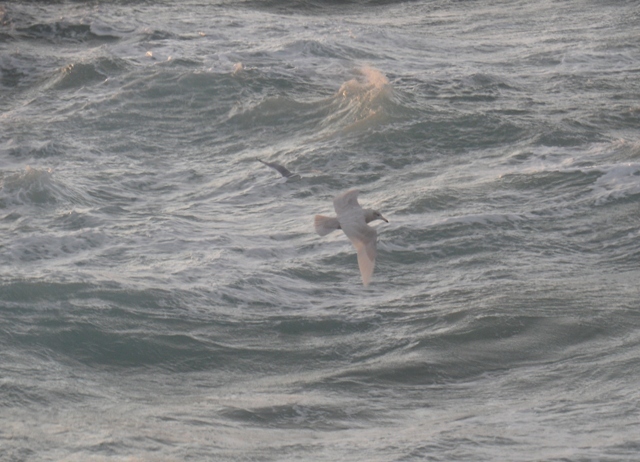 2 Little Auks, 6 Red-throated Divers and 93 Kittiwakes were seen during a brief half-hour sea-watch. 3 Mute Swans were now present while a check of all the Lochs found increases in a few species of ducks with 21 Shovelers, 11 Goldeneyes and 32 Tufted Ducks notable plus the 2 Scaups and 2 Pochards still. A few thrushes continue to hang-on with 32 Redwing, 8 Fieldfare and 21 Blackbirds in the north along with 5 Robins. The 1st was yet another extremely windy day, with a search for interesting Gulls in the afternoon failing to turn up the hoped for 'white-winger'. There was a general increase in numbers though with at least 250 Herring Gulls, 150 Great-black-backed Gulls and 200 Common Gulls found feeding in the swells off either Bridesness or Scottigar. The 6 Whooper Swans remained, as did the 2 Pochards and 2 Scaups with the Tufted Ducks on Ancum Loch. The wind dropped completely overnight for the first time in over two weeks and a few new arrivals were found on the morning of the 2nd. More Geese had arrived with 65 European White-fronted Geese near the school a new record count for the island. Also present were a single Tundra Bean Goose, the lingering Barnacle Goose and at least 570 Greylags, while in the afternoon a flock of 21 Pink-footed Geese flew south. A male Sparrowhawk replaced the female from last week, the Peregrine was still around and 16 Twite were near the observatory. With the gales and hailstorms continuing to batter the island it was still fairly quiet with a Shelduck near Kirbest on 28th the most unusual sighting. 2 Pochards have joined the 2 Scaups and up to 26 Tufted Ducks on Ancum Loch and a Common Scoter was seen off the south end on 29th. 8 Tundra Bean Geese, 17 European White-fronted Geese and the lone Barnacle Goose were still with the Greylag flocks. An immature female Peregrine on 30th was new, while at least 2 Merlins and a Hen Harrier remained. 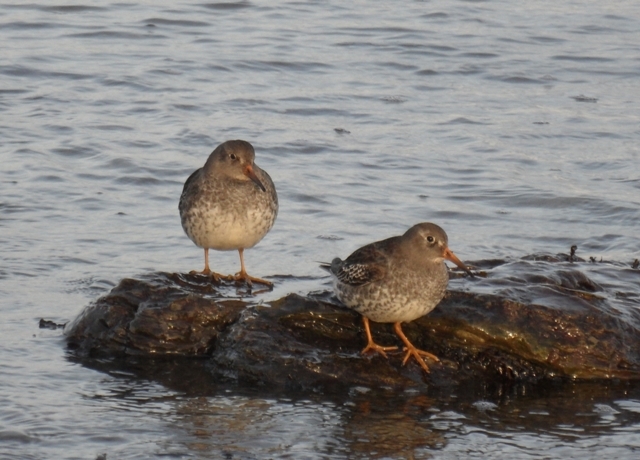 A count of 227 Purple Sandpipers around the coast on 28th was one of the highest of the year, and the wintering flock of Dunlins was up to 48 birds. A venture to the north end of the island on 28th found 6 Woodcocks, 2 of which were seen coming in off the sea and also 2 Black Redstarts including the smart male still near the lighthouse. Otherwise the only other passerines of any note during the period were a Chiffchaff at Brigg, 15 Twite and a Chaffinch near the Observatory and a Lapland Bunting near Holland House, all on the 30th.